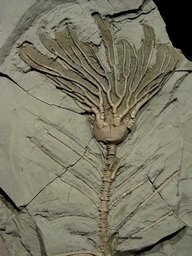 Sometimes called sea lilies, crinoids are actually marine animals. 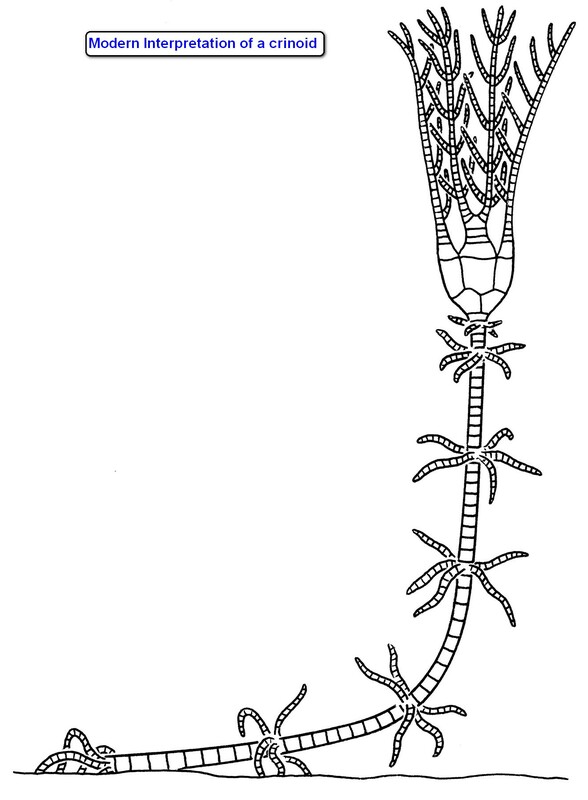 They belong to the phylum Echinodermata and are related to starfish and sea urchins. They lived attached to the sea floor by a stem or were mobile. 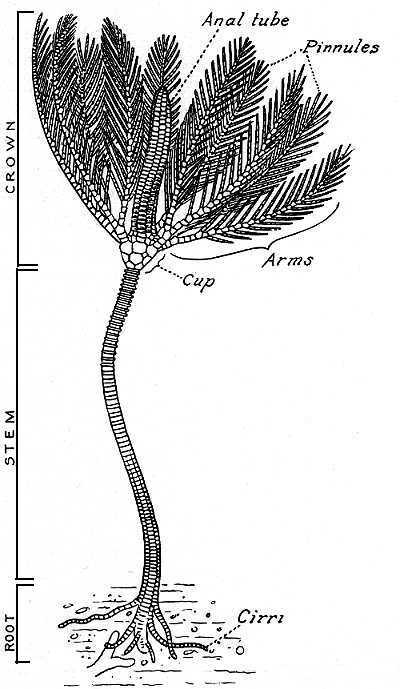 Crinoids can be divided into four distinct parts, the stem, holdfast (root), calyx (the cup that contains the soft parts) and arms. 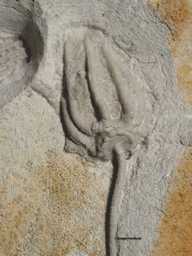 Fossil crinoids are generally perserved as fragments of the three sections. 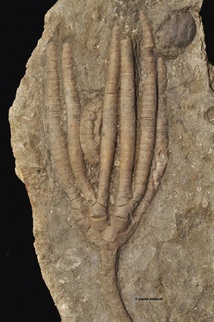 Complete crinoids are considered rare and are therefore cherished by collectors. Click below to see a schematic of a crinoid. Pictured here are a number of quality specimens in my collection. 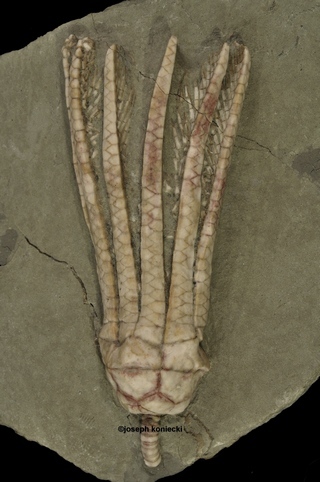 Currently, my crinoid collection is comprised of 1081 catalogued specimens. 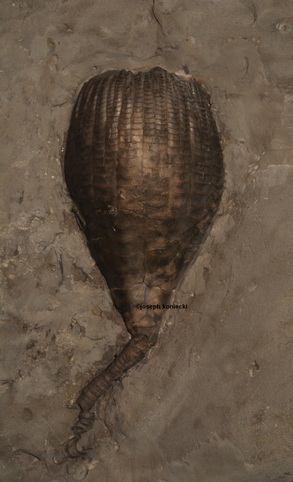 Not all specimens are pictured here. I have many more that need prep work and may end up on these pages. 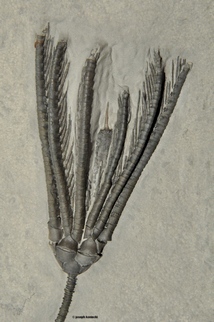 Most, but not all, of the crinoids pictured here were personally collected and prepared. 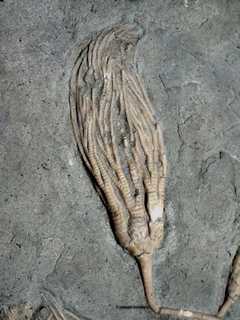 I have a significant number (about 400) of crinoids from Ontario, Canada. 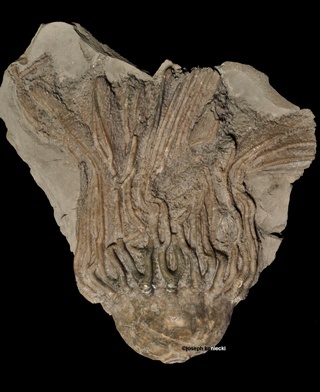 The Ordovician crinoids from Ontario are currently being examined by individuals from a major univerisity. A series of publications will be issued as a result of their work and these specimens will be deposited at a qualified institution. Click on image to take you to the specified page. On that page, you can click on the image again to obtain additional information.